In the same way that a blind hog occasionally finds an acorn, I think I’ve found a better way to promote my books. For the last year, I’ve spent less time on promotion, and my sales have increased. So what did I do, and how am I spending the time that I once invested in promotion? There have been countless books and blog posts written offering advice to self-published authors on how to market their books. There are endless schemes for ‘building a platform,’ using social media, and gaming Amazon’s ranking system. People spend hundreds of dollars on advertising to give their books away for free in the hope of building a base of readers or to sell them for 99 cents to improve their sales rank. All of these ideas have some merit. I’ve tried most of them, and they work, up to a point. The problem is that they don’t usually produce long-term results. Watch what happens to the books that are given away repeatedly; follow their sales ranking over time. You’ll discover that not many sustain their sales rankings for more than a few days after a giveaway. The same is true to a lesser extent with the 99 cent sales. With carefully coordinated promotion, it’s possible to stretch the results over a longer period, but it takes a lot of time and effort. So what about that acorn? How am I spending the time that I used to invest in promotion? I'm spending it writing more books. I realized over the last year that the most effective way to boost my sales for the long term was to release a new title. 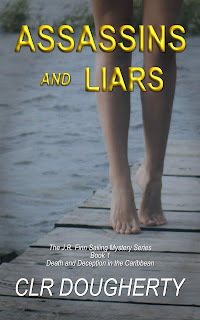 The results were masked at first, because I had so many other promotional things happening, but I noticed it accidentally when I released the fourth book in my Bluewater Thriller series last May. I released the book, and a few days later, Leslie and I went sailing for a couple of weeks. With no Internet access, I wasn’t around to tweet and make noise on Facebook, or blog, or do any of those other things that we all do. 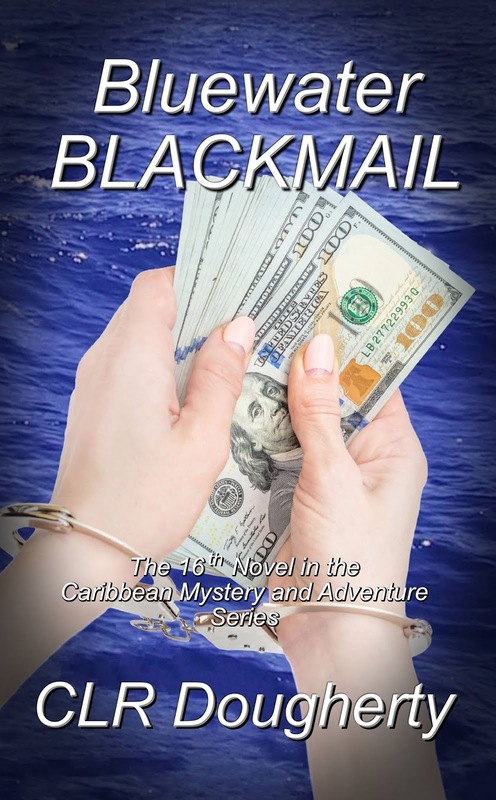 After we came to rest in Antigua, I went online and was stunned by the sales numbers. While I was away, my daily sales had ramped up by a factor of 15 during the two-week period after the release. That’s a 1,500 percent increase, and all I did was release the book and schedule a few tweets announcing it. The most interesting part of that to me was that while the new release racked up some nice numbers, it was surpassed by the increased sales of the first book in the series. The new book attracted attention, but people who had not read the series clearly went back to the first book and started there. Overall sales declined gradually over the next several months, but I could see the ripple in increased sales roll through the series from title to title. 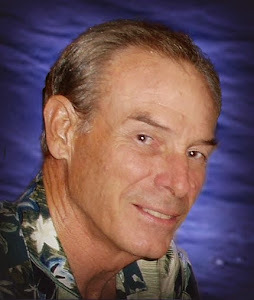 I released the next book in the fall of last year, and I got another boost. I’ve seen the same sort of result with the release last month of Bluewater Stalker. The results from the last two releases weren’t as dramatic, but the base numbers are higher now. My same-month sales year-over-year have increased a few hundred percent on an average basis. The release of each new book in the series also boosted of the sales of the titles that aren’t part of the series, which at first was counter-intuitive for me. Lately, I’ve gotten emails from readers who volunteered that while they were waiting for the next book in the series, they decided to try some of my other books. So if you don’t see me as often on Facebook and Twitter, you’ll know it’s because I’m implementing a new, two-part marketing strategy. It’s a simple plan. First, to sell more books, I’ll write more Bluewater Thrillers. 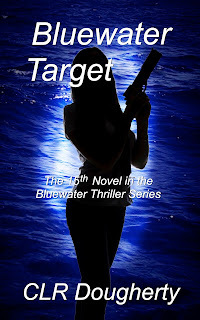 Second, I’ll write another series that is related to but slightly different from the Bluewater Thrillers. The thing I like most about the plan is that my favorite part of this whole business is the writing. 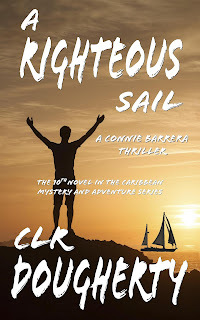 Thanks for visiting; I have to get back to Connie Barrera and Love for Sail. 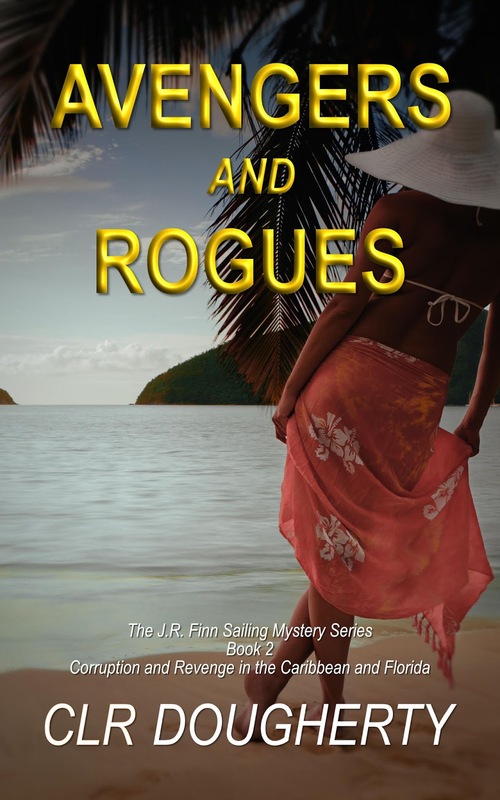 She’s just overcome the first big obstacle in her new role as the skipper of Diamantista, and she’s trying to sort out her feelings about this guy who’s going to become her crew in the Virgin Islands. 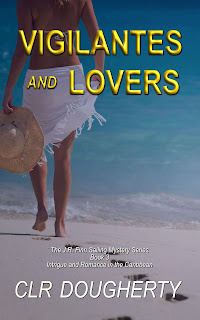 She’s already pestering me about her second book, too, but her second book won't happen until after the seventh Bluewater Thriller. I’ve promised that next slot to the Bluewater ladies after I release Love for Sail. I wonder if this only works in a series? What about authors that have a lot of standalone novels? That's my issue - I have 3 different series out now, books #1 or #2 out at the moment... do I simply need to get more of each series out to see different results? I guess time will tell. Great blog post. Thanks, Elyse. I didn't notice it happening until the fourth book in the series, which was my ninth title. The effect didn't show up, or at least it wasn't enough to be noticed, with the standalone books. It's happened three times now, with number four, five, and six in the series. I haven't published any non-series titles for a while. I'm curious to see how the first book in my new series does this summer. It will, in a sense, be a standalone offering, at least for a while. I've read about this phenomenon from a number of writers now: to sell more books, write more books. I even experienced it in a small way, myself: when I released my second book about a year ago, sales increased for my first book (The Bones of the Earth). A lot of bestselling authors have revealed their "secrets," but I think that much of the success of people like John Locke and Amanda Hocking was a result of their being early to the game. Those techniques won't work anymore. Unfortunately, or fortunately, the best strategy to selling books seems to be: write a good book. I think you're right, Scott. The people who got in early had a different game. I think it's hard to go wrong doing what you suggest -- that is, write a good book. the only thing I'd add is that the frequency of releases seems to matter as far as retaining market postion. Yes, I agree with Scott. Once everyone is employing a winning strategy, the magic dissipates. Building content is a logical step for increasing sales, although a writer can't neglect creating awareness, either. If you're not promoting your work, who will? Oh, and I just thought of something— while you were offline for those two weeks, other writers who promote your work weren't. Cross-promotion has impact. As Will Roger's had said: “Get someone else to blow your horn and the sound will carry twice as far.” But, I agree. A balance must be struck between creating content and promoting it. Cross promotion did indeed keep the momentum up while I was away, and I didn't mean to suggest that self-promotion wasn't important, a la Will Rogers. Nor did I mean to say I would abandon social media entirely. I think I had overlooked the impact of managing the frequency of releases in favor of spending hours on Twitter and Facebook, which is great fun, and you meet some wonderful people. Given that a writer has some presence, I think the importance of putting more books in the marketplace with a recognizable unifying brand is easy to overlook. If you have some presence and you write more books, you'll sell more books. Because it's so simplistic, it's easy to overlook in favor of trying harder to seel the ones you've already written. By the way, thanks for all the work you do on Art Knows No Boundaries. It's become my prime vehicle for cross promotion, and I know it has for others, as well. We all owe you our gratitude for that. Well I've done MY PART "Ahhhhhh…Haaaaaa Moments" is up on Amazon. It's up to Lisa Jey to get that Ms. Cheevious memoir up! BAHHHH!!!!! I'm hoping this works for me when I release my next book in August!